A C.B.S.E Training Programme named ‘One Day Capacity Building of Teachers For Life Skills, Attitudes, Values, Health Education’ was conducted at ITL Public School , Sector-9 Dwarka on 25th January 26, 2014 by Expressions India- an empanelled agency with the CBSE. The crux of the workshop was to thoroughly familiarize the teachers to the relevant concept of life skills and sensitizing them to the effective ways of observation of students and interaction with them to promote the values, attitude of students and thereby initiating the holistic growth of each child. The workshop was a power packed presentation and equipped the teachers with the quintessential information required for mentors and facilitators of learning following the CBSE curriculum. Teachers from 10 leading schools of Dwarka attended the workshop. All teachers were awarded with certificates of participation . The esteemed resource persons for the workshop were Dr. Jitender Nagpal, Programme Director of Expression India and Ms Geeta Mehrotra . 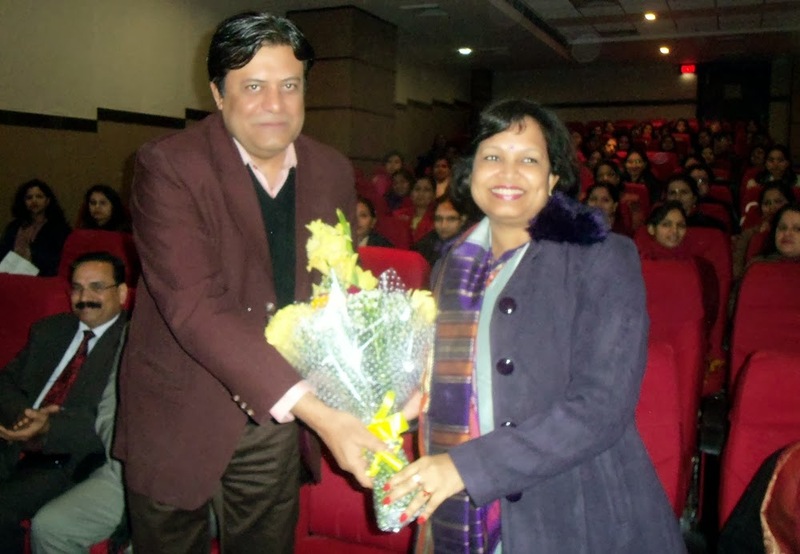 The resource persons were cordially welcomed by Mrs. Sudha Acharya, Principal, ITL Public School- the enlightened visionary who has been zestfully and incessantly promoting such progressive workshops which go a long way in fortifying the teachers with concrete views and ideas thereby helping them to evolve as better facilitators of learning . Dr. Nagpal insisted on gifting the children with a happy school concept whereby children imbibe the prudence that education is not a preparation for life, education is life itself. Ms. Geeta stressed the need of understanding the psychology of a child and underlined the importance of identifying the child’s merit or flaw through observation and acting accordingly to chisel the innate capability of a child. The resource person exhaustively dealt with awareness and familiarization of attitudes and values and well being which encompasses physical, emotional, social, spiritual and intellectual aspects of a child. There was a full length discussion of different tools and techniques of assessing life skills and on application of life skills, attitudes and values in classroom scenario. The upscaling policy of scholastic grades on the basis of co scholastic grades was also discussed.The workshop was truly enriching.